Northern Irish painter Andrew Nicholl (1804 – 1886) was the younger brother of painter William Nicholl (1794 – 1840). Nicholl worked in London between 1830 and 1832. He was a founder member of the Belfast Association of Artists and exhibited at the Royal Hibernian Academy, Dublin, and at the Royal Academy, London. Nicholl was elected as an associate member of the RHA in 1847 before becoming a full member in 1860. 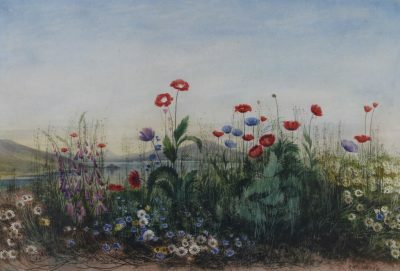 The Ulster Museum holds a large collection of his work, from all periods of his career.